A few steps away from the Louvre, the Rue Sauval is situated in a charming little street that started at 113 Rue Saint Honoré. Here you will find a lovely welcoming dining-room on the ground floor for friendly dinners, and a 18th-century vaulted underground room for any festive events! On the weekends, they provide Karaoke sessions, and during the week, “Jam sessions” evenings or blind tests – among others – are planed. 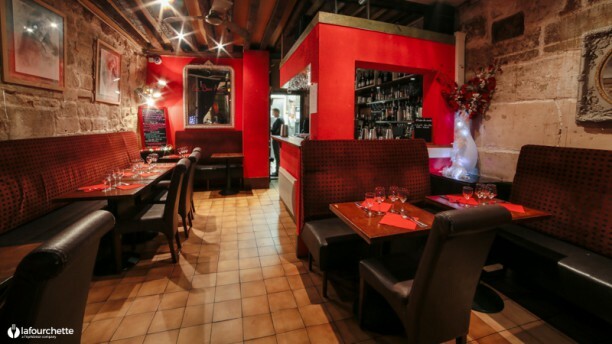 A convivial destination restaurant with set menus from 36€ to 58€. -40% sur « -40% sur "le Brunch du Normandy Hotel", soit 27€ au lieu de 45€ », soit 27,00 € au lieu de 45,00 € !